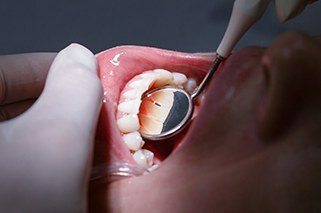 Periodontal disease (also known as gum disease) is one of the most common health conditions around the world, with nearly three out of four American adults suffering from a mild to advanced case. While symptoms may be relatively minor or even nonexistent in the beginning, patients who let this issue go untreated can face a variety of damaging consequences, including jawbone deterioration and an increased risk of tooth loss. That’s why Dr. John Petty and the rest of our team here in Tullahoma are dedicated to finding and treating periodontal disease at the earliest possible stage. With multiple therapy options available, we’ll be sure to select the one that revitalizes your oral health as quickly and smoothly as possible. It’s important to remember, though, that periodontal disease may not be noticeable to you until it’s reached a more advanced stage. In order to protect your smile, you need to attend regular checkups and cleanings in addition to practicing diligent home care. Our recommended care will depend on the severity of your periodontal disease. In some cases, more frequent cleanings may be enough to reverse any negative effects. 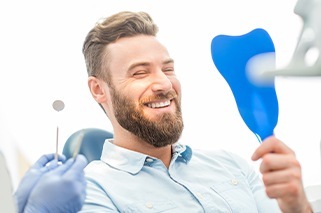 Root scaling and planing is an effective service for more moderate symptoms; it allows us to thoroughly clean between the gums and teeth and smooth out the surfaces of tooth roots, refreshing your oral health in the process. If we determine that a surgical procedure will be necessary to fully treat your condition, Dr. Petty will be happy to recommend you to a trusted local specialist. Please don’t hesitate to contact our Tullahoma, TN office today if you have any questions about our periodontal services or if you’d like to go ahead and schedule an appointment. We also welcome new patients from the nearby areas of Lynchburg, Shelbyville, Manchester, Murfreesboro, and beyond.